Chiropractic is a health care discipline and profession that emphasizes diagnosis, treatment and prevention of mechanical disorders of the musculoskeletal system, especially the spine, under the hypothesis that these disorders affect general health via the nervous system. 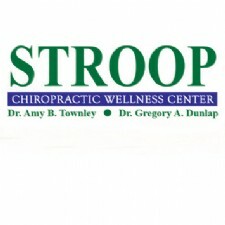 - The mission of this office is to provide effective professional chiropractic care to individuals in chronic or acute pain, utilizing multiple modalities and techniques to get the individual out of pain as quickly as possible. - Specializes in Advanced Biostructural Correction (ABC). Accept most insurance including Medicare and CareSource. - We aim to educate our patients about Chiropractic and other natural solutions to common health problems in order to motivate you to take a more active and responsible role in restoring and maintaining your own health as well as the people around you. - We are a wellness clinic providing cutting edge Chiropractic care, Massage/CranioSacral therapy, and nutrition/detox consultation for the whole family, from babies up to adults (including during pregnancy)! - Chiropractic, Rehabilitation, Treatment for Musculoskeletal Conditions such as Neck Pain, Low Back Pain, Shoulder Pain, hip pain, Elbow Pain, Wrist Pain, Hand Pain, Knee Pain, Ankle Pain. 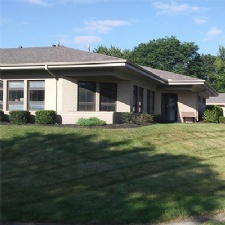 - Located near the Dayton Mall - Advancing your health through quality care, service, and education. 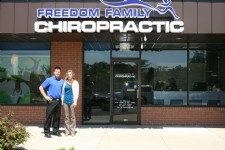 - At Taylor Family Wellness Chiropractic, we strive to promote proper health though NUCCA Chiropractic care. NUCCA correction focuses on restoring body balance which can aid in relieving all kinds of health problems. Dr. Leigh Taylor and Lindsay Burgett, Licensed Massage Therapist, work together with you to establish better health and living...naturally.